5000 TD3, Single Bass Drum Pedal from DW Drums in the 5000 series. 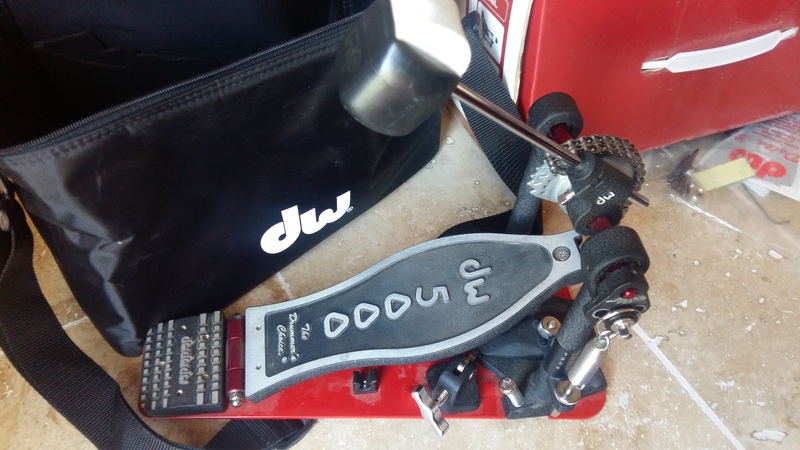 stompboxjon's review"The TD3 vs the AD3"
The DW 5000 is a very well built and designed kick drum pedal that I have seen used many times. 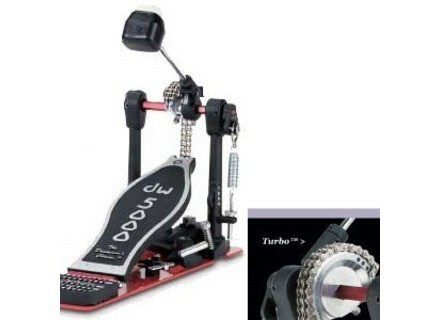 You can purchase the DW 5000 single bass drum pedal for around 190 to 220 dollars online or in your local stores. Of course this is the TD3 version of the pedal, there is also a AD3 which to me doesn’t really hold weight to the DW 5000 TD3 because the TD3 is just flat out a lot faster than the other one. 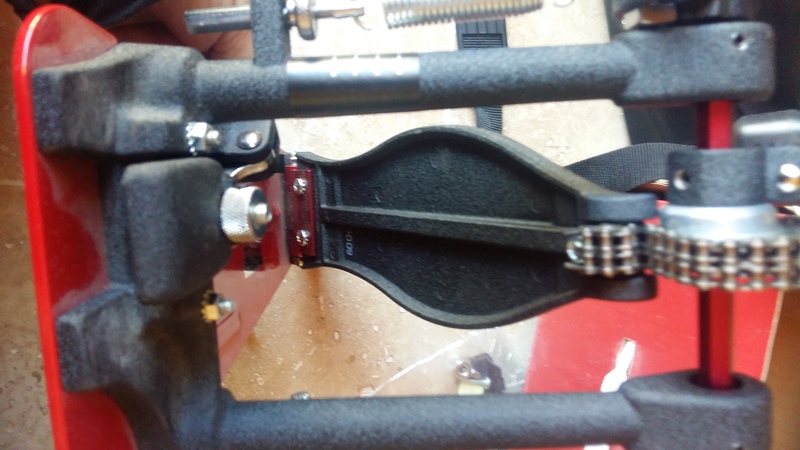 The TD 3 has built in adjustable spurs and non skid Velcro so the pedal won’t start moving on you while playing. The quality of the 5000 TD3 is better than most of the other DW lines including the 4000, 7000, and maybe even the 9000 line. Plus TD3 could be more affordable than those other versions from DW. I feel that clean across the board the TD3 could be the best DW pedal on the market even though it has been out for a few years now but it is still being used on so many DW machines. The TD3 provides you with a more easy kick or stroke to the drum, while the AD3 will give you a more powerful punch to the drum. So when it is all said and done it will come down to how you feel about the pedal. It will be more about how you like your kick to feel, the best bet for any one considering this pedal would be to go try them out first, that way you won’t make the wrong decision and you will get what your personal taste likes. But both the DW 5000 TD3 and the AD3 are both great pedals, they are very well built and will last a long time. Since they are pretty standard pedals now, almost any DW kit you check out in the store will have one of the pedals that I described so you will be able to see which one you like. Great value and price with the TD3 line and a very fluid feel to it. I recommend it! 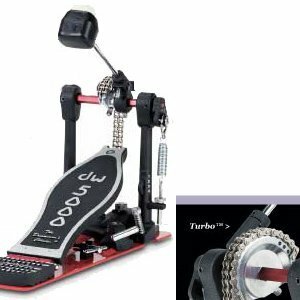 The DW 5000 TD3 is a kick drum pedal for use with a full drum kit. 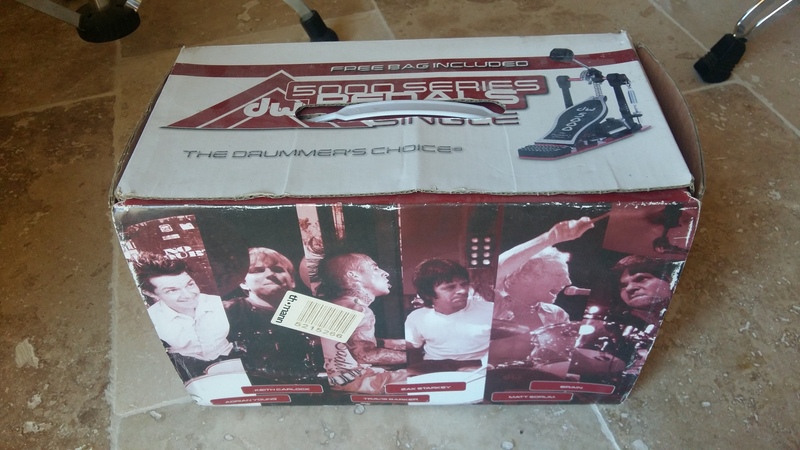 I see these kick drum pedals everywhere, as they seem to be the standard for use with DW kits and beyond. I'm primarily not a drummer, but I do dabble and have played a few different drum kits using this pedal. Since I'm not a drummer, I'm definitely not an expert when it comes to pedals, but I have to say that this one feels really good and overall quite natural. It's snaps back quickly and feels easy on the feet for sure. It has a really sturdy build as well, as it has a reputation for lasting long, which can also be said about DW products in general. I don't know if the DW 5000 TD3 comes with any of DW's kits, but it can be purchased on it's own if you wanted to have it for use with another type of drum kit. The beater on the pedal is pretty hard, and of course depending on the kick drum, it generally gives you a pretty tight and punchy sort of sound. It's perfect for rock drumming, but I'm not sure that it would be the best choice for jazz or something where you might want a sparser sort of sound. The price of the DW 5000 TD3 is reasonable for a top tier kick drum pedal, but it's all relative as you can certainly find a full drum set for this price if you wanted something super cheap. I'd definitely recommend that anyone looking for a kick drum pedal check out this one to see if it's for you or not. It's not a beginners pedal, but if you're an experienced pedal looking for a great kick drum pedal, the DW 5000 TD3 is a must see. This pedal I fell immediately under the foot, from the outset, I felt at ease, as with IRON COBRA TAMA. And after you tweak the settings (Very simple and effective), the game is fast, accurate and noise-free (except oblivion - 5 ball bearings). Personal opinion, investing in the 9000 series does not seem to me essential the 5000 is already a significant investment and value for money seems to me correct in terms of competition. 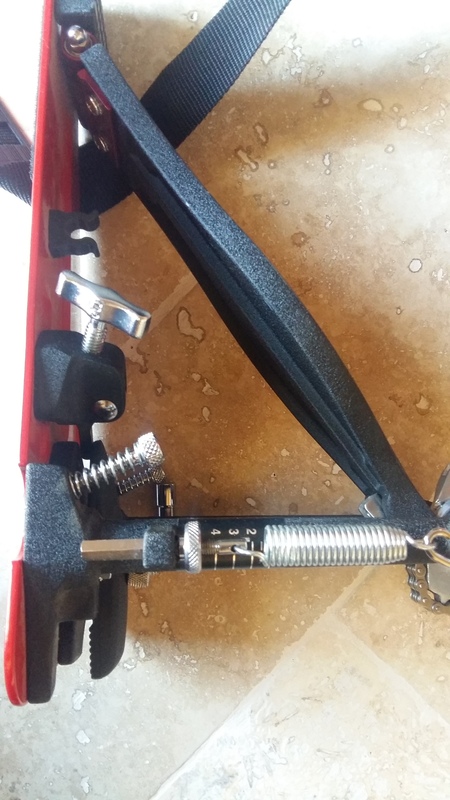 This excellent pedal (If appropriate) comes with a gig bag with a zip closing.